Geneva (AFP) - The strongman of Switzerland's populist right, Christophe Blocher, will stand down in April, media reported Sunday, paving the way for a complete shake-up at the top of the country's biggest party. The 75-year-old multi-billionaire told SonntagsBlick weekly he would not stand for re-election as vice president of the Swiss People's Party (SVP) after his mandate expires in a few months' time. "As of April, I will no longer be a vice president of the SVP," he told the paper. The news came a day after the party announced that its chief for the past eight years, Blocher prodigy Toni Brunner, and secretary general Martin Baltisser, would also step down in April, when all party mandates will be up for grabs for a new two-year term. The party management said it wanted parliamentarian Albert Roesti to succeed Brunner at the helm. SVP has acknowledged its party structure needs an overhaul to keep up with the party's spectacular growth in recent years. Until the 1990s, the SVP was the smallest of Switzerland's four leading parties, with just around 10 percent of the vote, but since then it has soared to first place, taking a record 29.4 percent of votes in general elections last October. More than anyone, Blocher is seen as the architect of the party's soaring popularity. He shook Switzerland's tradition of moderation and consensus after storming onto the national stage when he joined parliament in 1979 and began to stir fear about outside threats. The son of a Protestant preacher and the seventh of 11 children, Blocher is widely credited with bankrolling the SVP and transforming it from a rural group into a powerful political machine anchored to the hard right. Blocher has helped cement SVP's brand of populist nationalism, with its virulent campaigns against immigration, the European Union and Islam. Europe's current migrant crisis has given the party an additional boost, as it warns that the so-far modest numbers of migrants and refugees arriving in Switzerland are set to balloon. 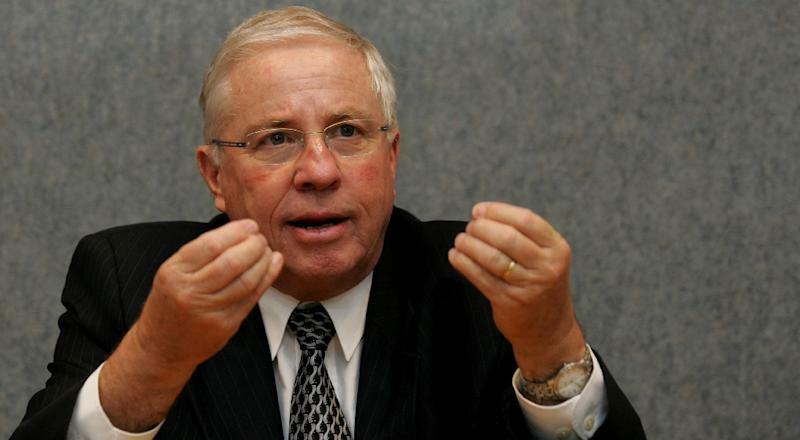 Even after his exit, Blocher will likely continue to have some political influence. One of his four children, Magdalena Martullo-Blocher, who now runs the chemicals firm her father turned into a successful international business in the early 1980s, was elected to parliament for SVP in the elections last October.